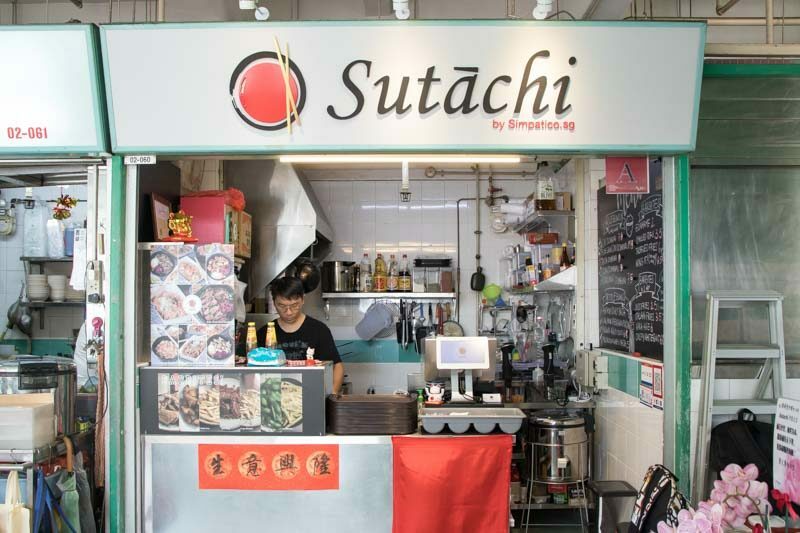 Sutāchi, or Starch in Japanese, is a hawker concept nestled within the Chinatown Complex, which serves up rice bowls and other items usually found in cafes. Business partners Yu Ting and Alex are young chefs, aiming to make food of restaurant standard available to the masses. Another goal of theirs is to introduce Japanese and Italian cuisine to the elder generation, who may be unfamiliar with the modern dining scene. 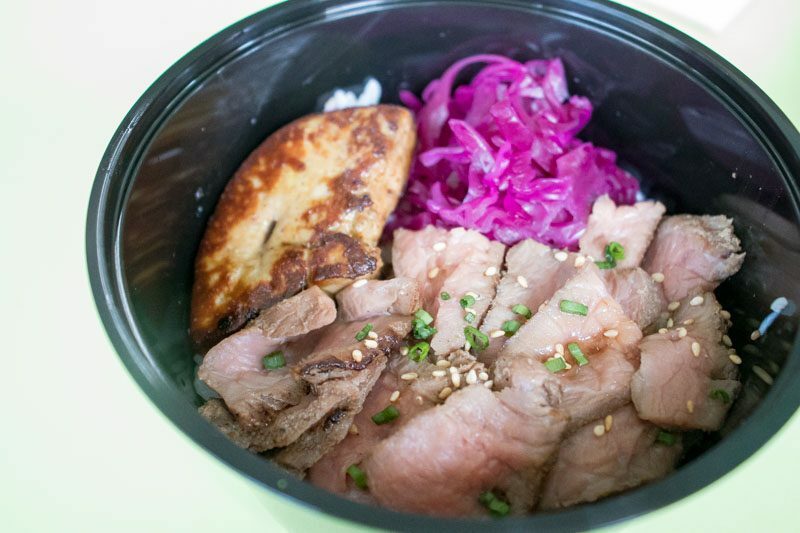 What better way to do it than with rice bowls that have been all the rage in recent months? Thus, Sutāchi is born. Sutāchi ties Japanese and Italian cuisine together and offers affordable prices to its customers. They also have plans to expand their menu beyond rice and noodle dishes, but of course, these dishes will be centred around the theme of starch. 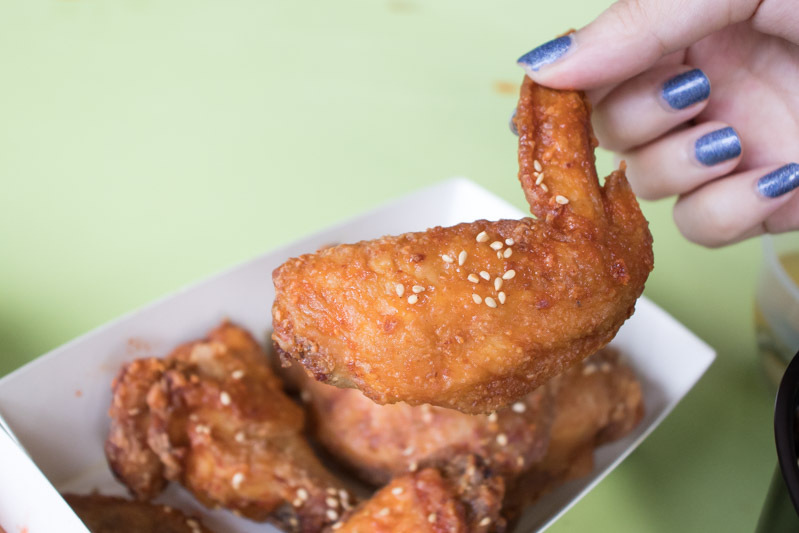 While they had quite a few sides featured on their adorable blackboard menu, we opted for the simplest, Wing It! ($6.50). 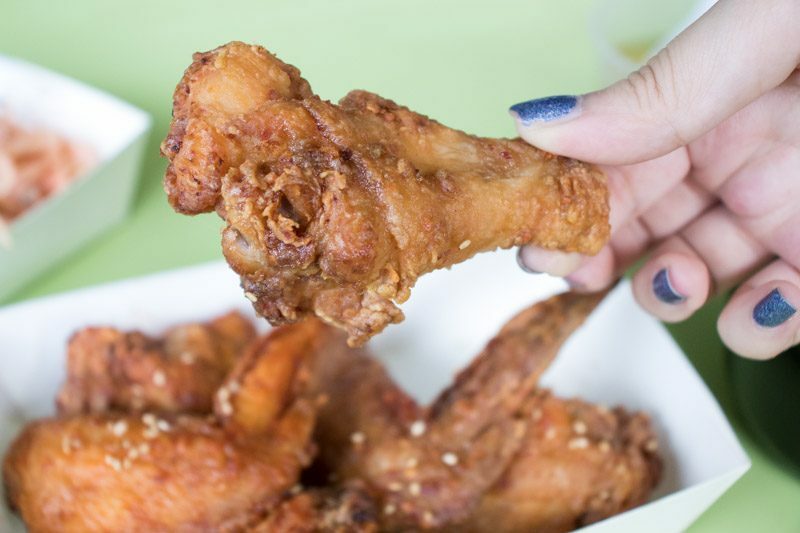 These wings come in both soy and spicy flavours, and we decided to get a mixture of both. 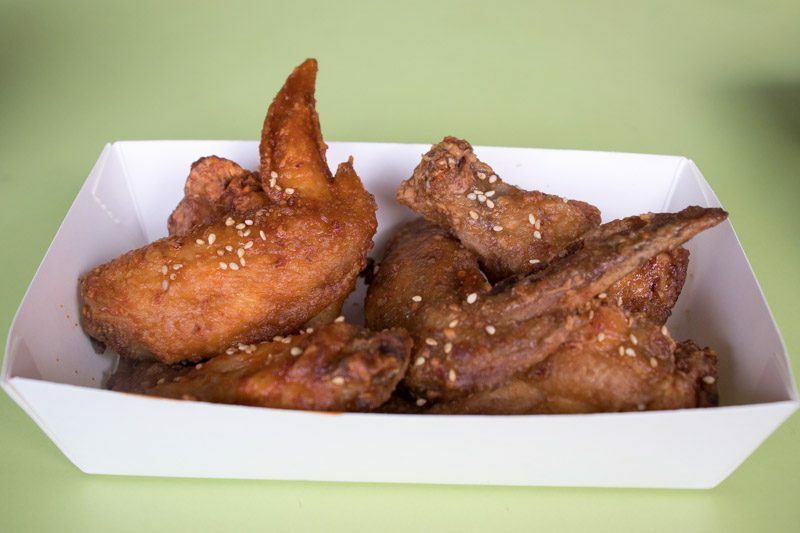 The soy wings have a nice balance of both sweet and salty, and have a really juicy interior which will get you hooked. The flavours of these wings are not too strong, so you’ll be able to keep eating without feeling jelak. The spicy wings, on the other hand, are a tad bit sweeter, and contained enough heat to get your tongue tingling. 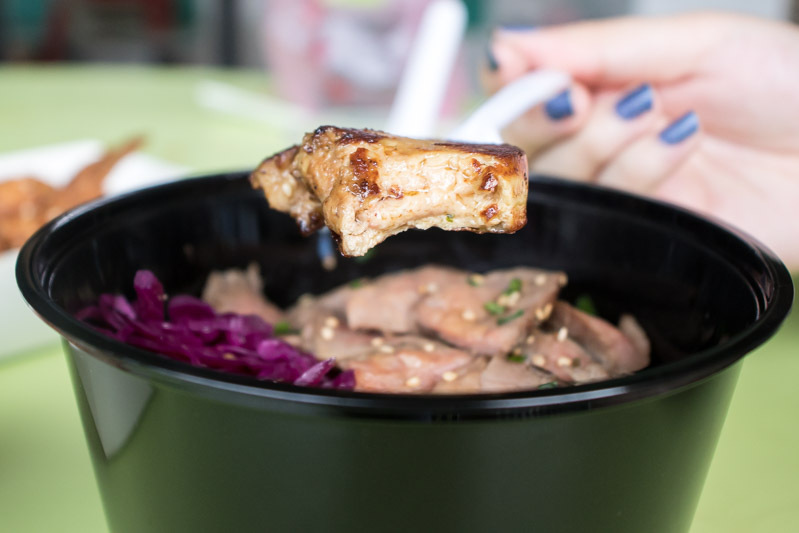 To make your hawker experience a tad bit more atas, get the Foie Gras Gyu Donburi ($19.50) which comes with juicy, well-seasoned beef and a portion of charred foie gras on top of Japanese white rice. We’ll seldom find foie gras in a hawker stall. So, we jumped at this rare opportunity to savour it. The rich, buttery, and smoky flavour made it even more enjoyable. The portion size was also pretty generous, given its price. The beef was a little more well done than we’d prefer, void of the pink hue we were expecting in the middle of the meat; ours was almost cooked all the way through. We were also disappointed by the lack of a crispy charred exterior, and that the beef was really chewy, borderline tough. However, if it was done intentionally, we could see how this would sit better with people who are more sceptical about meat done medium rare. 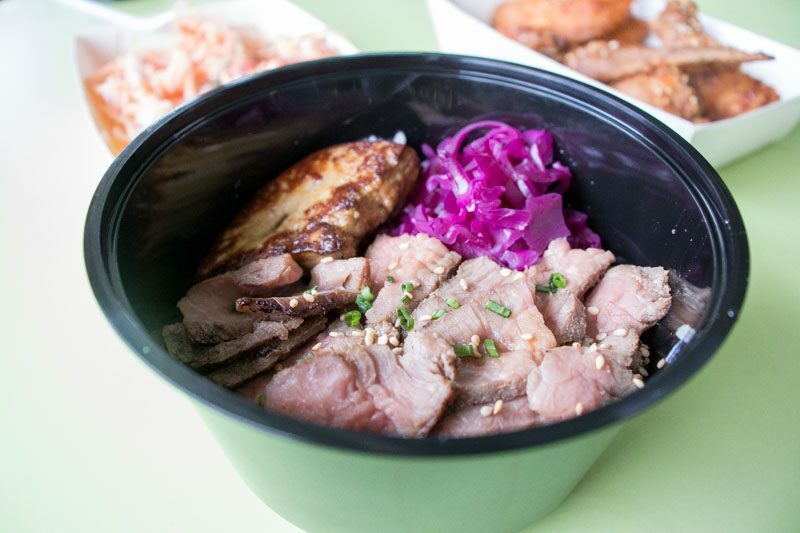 The donburi also comes with pickled cabbage, which brighten the flavours in the rice bowl. Not interested in spending on the foie gras? 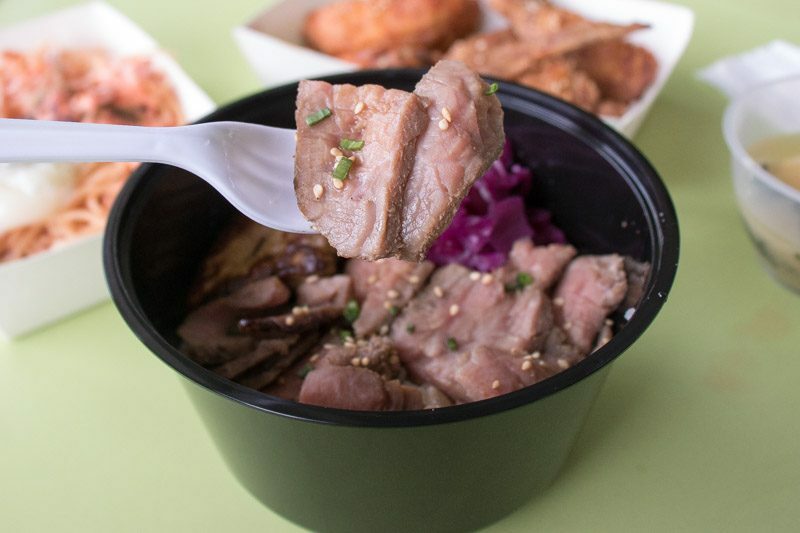 Sutachi sells the Gyu Donburi ($7.50) by itself, without that deliciously fatty morsel. 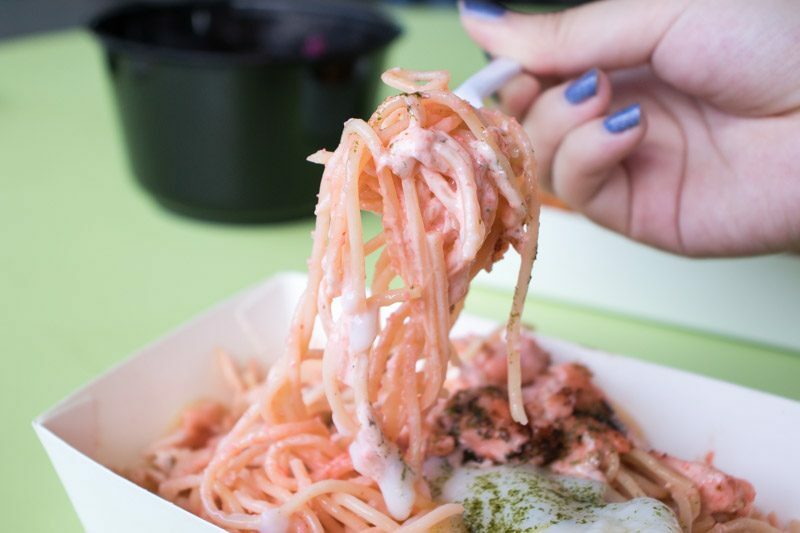 If you’re looking for noodle options, the Salmon Mentaiko Pasta ($7.50) is a good place to start. The portion of noodles is just right for one person, and the amount of salmon was generous, especially at that price point. 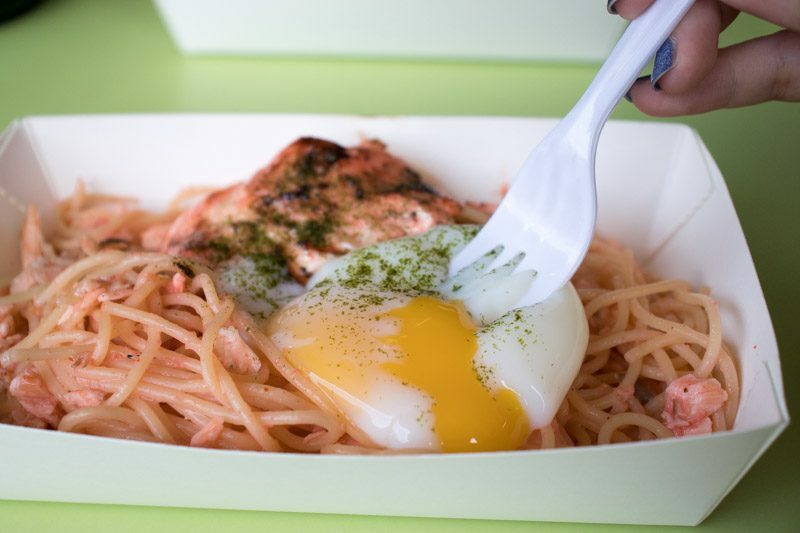 An onsen egg is perched on top of the pasta. When mixed with the noodles, it makes the noodles creamier and richer in flavour. Our only gripe was that the sauce was thicker than we’d like, which made the pasta dish quite heavy mid-way. As there are various stalls around Sutāchi selling craft beer, some consideration also went into creating a menu that would pair well with beer. 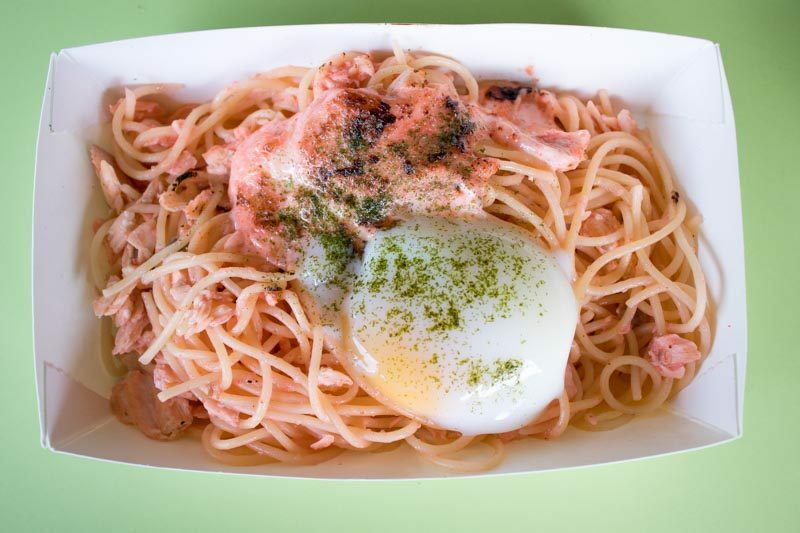 The Salmon Mentaiko Pasta may just have been one of those dishes which taste normal on its own, but might work better with an ice cold drink on the side. We think that it’s a great way to get the older generation in on the modern food scene, and the prices at Sutāchi makes dining there even more attractive. Given more time to improve, Sutāchi may one day serve rice bowls that are on par with restaurants and cafes. But for now, if you’re in the area and are craving for affordable rice bowls, do give Sutāchi a try.